NEW YORK—Emotionally charged student government debates over resolutions urging divestment in companies doing business with Israel have become a perennial distraction across the University of California system, and the head of a prominent national security think tank has urged UC President Janet Napolitano to become personally involved. “As a former secretary of the Department of Homeland Security, I know you appreciate the serious consequences of an international campaign to undermine the next generation’s support for America’s only ally in the Middle East,” wrote Dr. Herbert London, founder and president of the London Center for Policy Research. London applauded the UC system for its “long history of engagement with Israel,” including student exchanges and international academic partnerships. “I am writing this public statement to call your attention to a disturbing development on several of the University of California system campuses, and to urge that you become personally involved. “Following a highly organized, well-funded campaign of lobbying and parliamentary manipulation, a handful of pro-Palestinian activists have secured resolutions by a number of UC student government organizations supporting the anti-Israel international Boycott, Divestment, Sanctions (BDS) movement. At present, student governments at UC Berkeley, Irvine, Riverside, San Diego and Santa Cruz have each passed resolutions urging the economic isolation of Israeli businesses, financial institutions and universities. “These activists have managed to persuade majorities in the student governing bodies that Israel is an “occupying power” in the West Bank. With ridiculous comparisons to South African Apartheid and reciting the mantra of colonialism, exploitation and racism, they have—with little or no substantive debate—convinced their fellow students that Israel should be isolated as a pariah state. “As a former Secretary of the Department of Homeland Security I know you appreciate the serious consequences of an international campaign to undermine the next generation’s support for America’s only ally in the Middle East. I urge you to become personally involved in setting the record straight. “Beyond the obvious academic objective of educating our students in intelligent, informed debate, your engagement in these discussions will reassure taxpayers, donors and alumni alike that one of the world’s premiere public university systems is not about to permit a narrative of outright lies, distortions and misunderstanding to hijack support for our embattled ally. 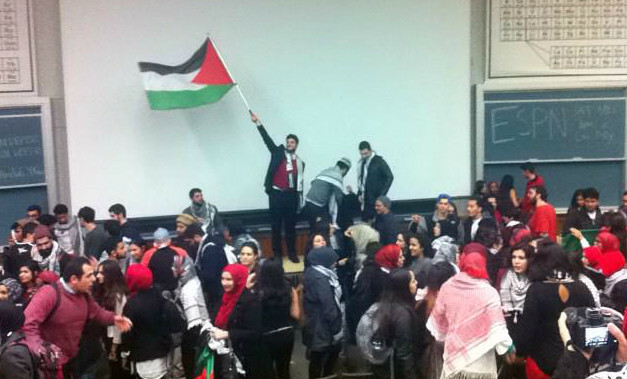 “If, as I expect, the BDS movement continues its efforts on other UC campuses in the academic year ahead, I urge you to engage in the discussion. Let’s inform these students that, yes, Israel has imperfections, but it remains an extraordinary example of what free men and women can accomplish, even in adversity and under siege. “These student council decisions could be a catalyst for civil discourse—a condition unknown to many students. As I see it, students should be free to express any opinion, including misguided opinion. But having a view point is not the same as having the facts to bolster it.